We are a community based rowing club that was established in 2010 and is open to anyone who wishes to row pilot gig boats either socially or competitively. We also welcome membership from those who just wish to offer their support as social members without having to worry about rowing. Applications are welcome from adults of all ages and juniors from 11 -15 years. Please have a look at our website, which has lots of information about the sport of gig rowing. There are details about how you can get involved, as a new member or sponsor and links to other interesting sites related to our sport. Hope to see you on the water soon. 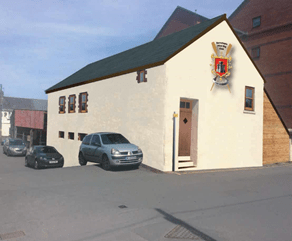 Barnstaple pilot Gig Club CIO is running a fund-raising campaign to purchase a 19th century warehouse on Rolle's Quay, adjacent to the Sea Cadets Headquarters. If successful the building will be refurbished to provide boat and equipment storage and workshops on the ground floor and in the yard area. The vision is to create a water sports centre and community facility for the people of the Barnstaple area, to foster the regeneration of the run-down Rolle's Quay area, and to encourage leisure and sporting use of the river Taw in Barnstaple. This will also help to restore the maritime heritage that has largely been forgotten in Barnstaple. 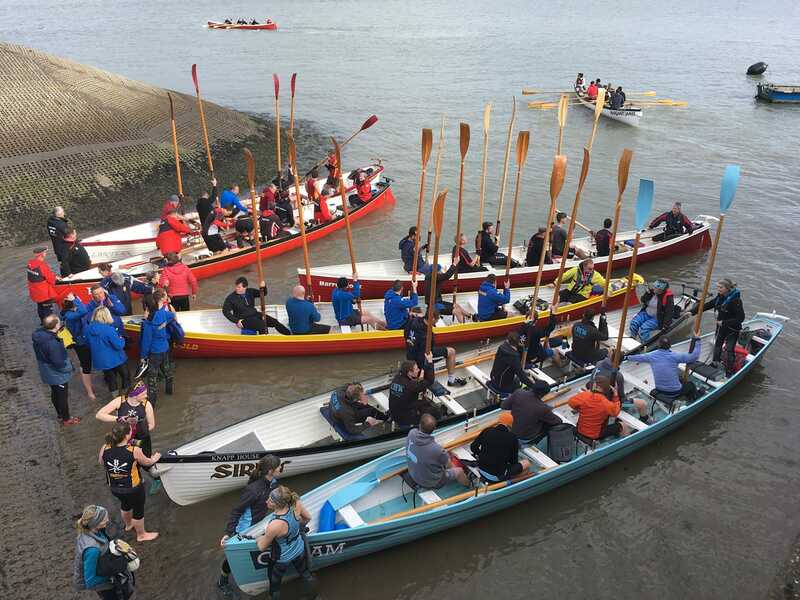 Nine Gig Boat clubs travelled to Appledore last Saturday to take part in the second round of the North Coast Gig League. Many of the clubs use this league to try out new crews and to introduce new rowers to gig boat racing, so it was well attended with no room left in the car park by 10.30 in the morning. The start line was beyond Yelland Quay in the river Taw, and the boats raced back to the finishing line at Appledore Quay. BPGC takes to the Thames!